Wondering how you’ll get across the finish line? If you’re struggling to complete your thesis or dissertation, it’s probably not much comfort to hear people tell you you’re not alone. Nor do you revel in receiving the sage advice of your parents and their friends – safely more than 20 years beyond their time as students and likely ensconced in comfortable careers. So if you’re finding yourself at the start of a metaphorical marathon and feeling about as fit as a person who sits and stares at a screen all day, pausing only to consume large quantities of junk food and caffeine-rich drinks, what do you plan to do to get the race run and make it across the finish line? We talked to a few recent graduates on our team, who were happy to pass on some of their wisdom. You may be surprised to learn that it’s not that much different from the advice you parents gave you. Plan – Create a structure before you start writing – don’t try to through-compose and then struggle to impose some kind of order on your words once you’ve written them. Ask for help – Talk to your tutor. Share any concerns you have, ask for feedback and ask for their suggestions. Set achievable goals – Set out a work plan and try to keep to it – for example, a certain number of words a day. But remember to be flexible – some days are going to be better than others! Look after yourself – Stay hydrated (water is best), eat regularly and well - don’t rely on junk food, take regular breaks, and keep up your exercise regime – even if it’s just a walk in the park every day. Get distracted – Social media, television and other displacement activities are not your friends right now. Find ways of limiting or banning them altogether until the coast is clear. Get sleep-deprived – You’re bound to work too long and too hard. But remember to get enough sleep, even if it means napping from time to time. No-one works well when they’re exhausted. Forget this won’t last forever – There really will be a time when you’re not doing this anymore, hard though this may be to believe right now. Give up – You’ve come this far, after all. Just stay with it – you’ll be glad you did. Be sure to give yourself little rewards along the way, and plan something fabulous for when you’ve finished your master work and handed it in. But before you do that, make sure you give it the best possible send-off with our first class dissertation print and bind services. Don’t leave anything to chance – after all, the university’s print facility will be maxed out, and you can’t take any risks after all that work. 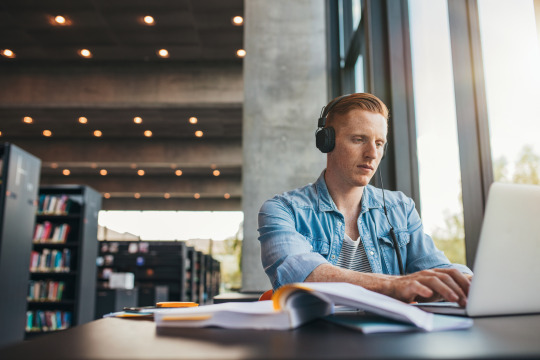 Our experts are ready and waiting to print your dissertation to your university’s exact specification, adding any finishing touches you would like. We’ll ensure a fast turnaround in plenty of time for your deadline too.